Check out the latest print edition, and preview the online version. 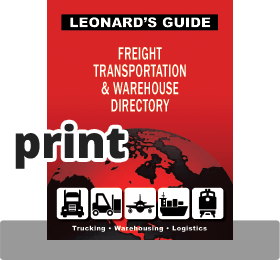 Since 1912, Leonard’s Guide has been a trusted authority in the freight transportation and warehousing industries, publishing multiple print directories, guides, and later, online directories encompassing major segments such as Trucking, Warehousing, Logistics and Air Cargo. Today, Leonard’s Guide is making it easier than ever to quickly find the right companies to meet your complex freight transportation and warehousing requirements. 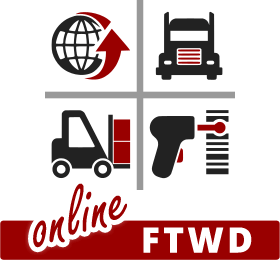 Leonard’s Guide Freight Transportation & Warehouse Directory (FTWD) is your one source for comprehensive, accurate and up-to-date information on Trucking, Warehousing, Logistics and Related Service companies in North America. Check out the preview version of our new online FTWD. 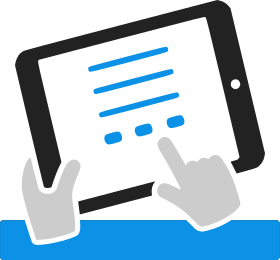 Constantly updated, with downloadable contact information, quickly and easily find Logistics, Trucking, Warehousing and Related Service companies throughout North America. Sample pages from the print edition of Leonard's Guide FTWD. The detailed, comprehensive information you need on thousands of companies in North America, in-print for easy offline access. It's easy to subscribe to Leonard’s Guide Online FTWD and have the latest print edition shipped to your door. Everything is included for one price so there's nothing extra to buy, and no shipping to calculate. Continuing will sign you out. I'm sorry, our preview mode is currently disabled.